Amy Schumer has another movie coming out, and I’m super excited. How am I supposed to wait until May for Snatched?! It seems so far away! 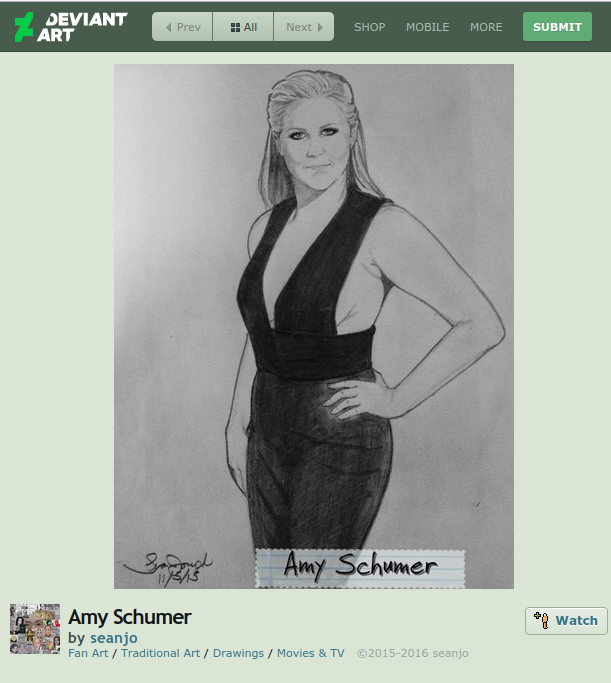 Anyway, I thought I’d share this sketch of Amy Schumer I found on Deviant Art by seanjo. She looks all perky and put together as opposed to the mess that goes down in the trailer for Snatched. View the original fan art here, and see the trailer below!